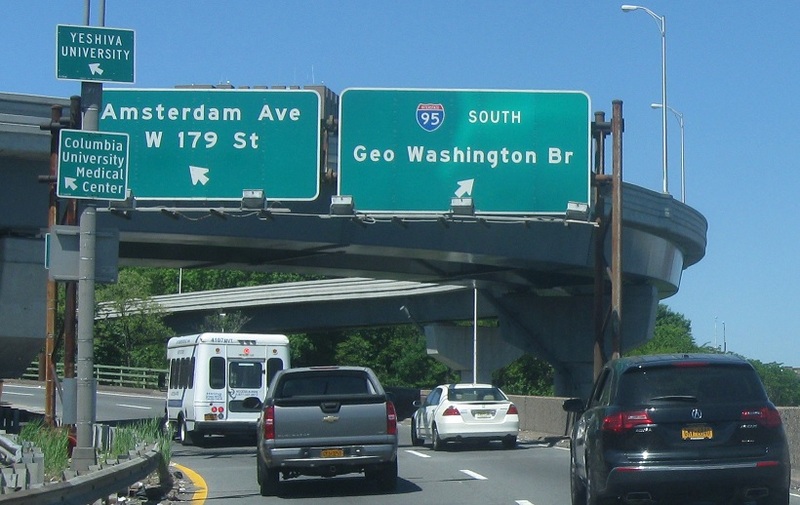 No signage after Harlem River Drive begins, but we’ll pretty quickly approach the George Washington Bridge. Keep left to access I-95 and US-1. There’s no direct access to those routes northbound. At the split, keep right for I-95/US-1 south. 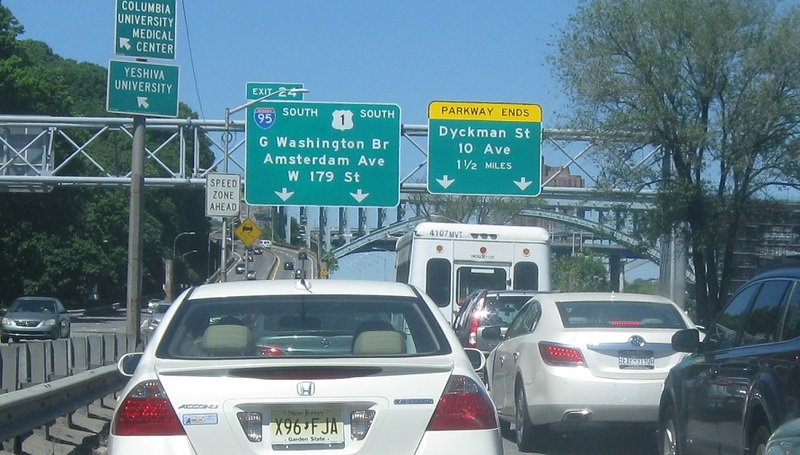 The Harlem River Drive itself continues a few more blocks up to Dyckman Ave.